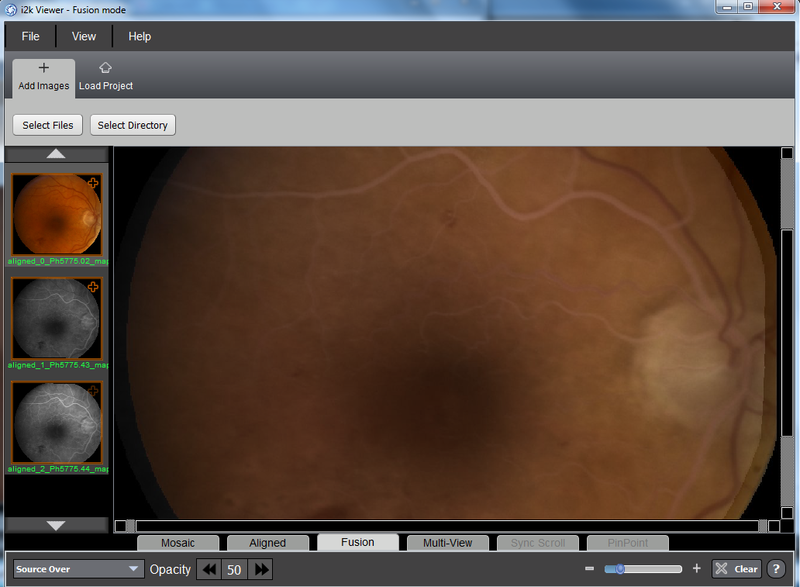 This example shows a bit about the use of i2k Viewer to view two or more aligned images. The previous examples have shown i2k Viewer using the Aligned mode, so let�s consider Fusion mode (tab in the center of the bottom). Multi-View allows one image to be shown over top of another with a circular �hole� that shows the image underneath. 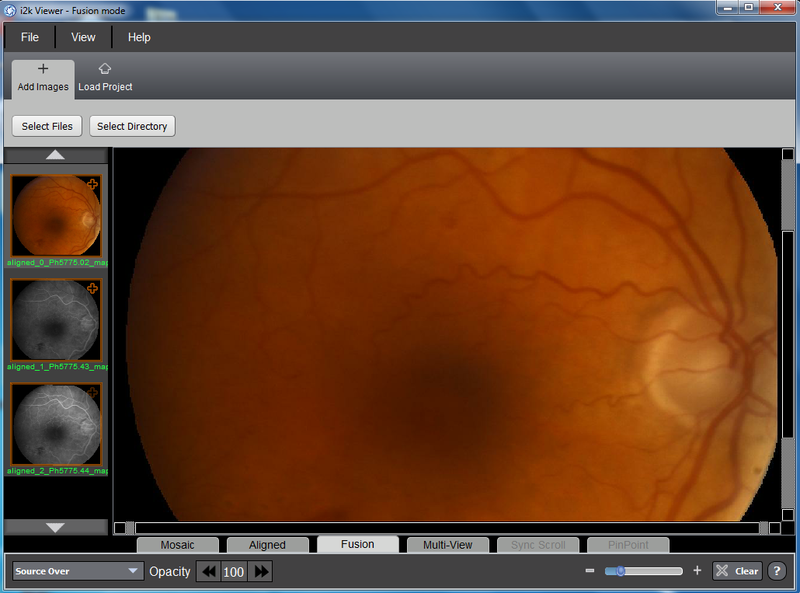 The left side of the display, headed by �Top Layer�, allows the user to choose the image on top, in this case the aligned color fundus image. The right side of the display, headed by �Bottom Layer�, allows the user to choose the image on the bottom. 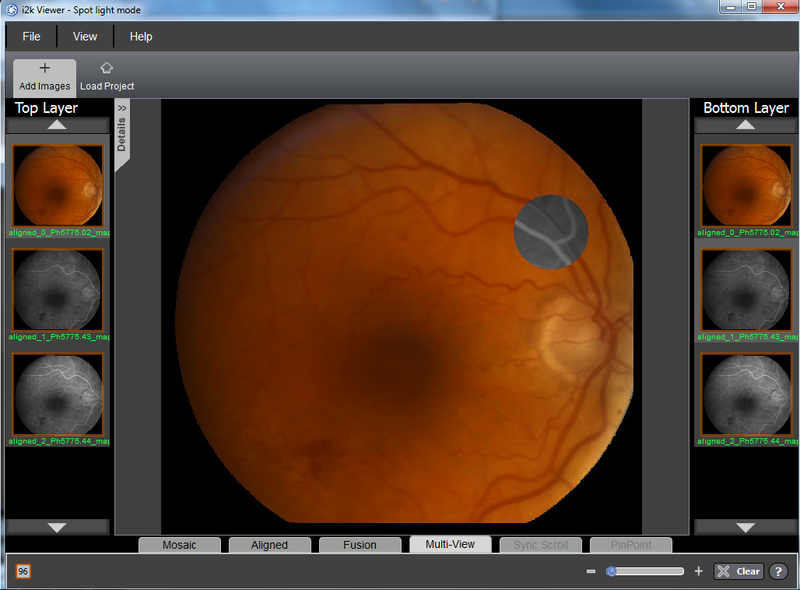 The main pane in the center shows the hole through the fundus image where the user can see both venous and arterial blood flow in the angiogram. The number (96) on the bottom left of the display controls the size of the circular hole. The slider on the bottom right allows rescaling of the images.